Today is St Brigid’s Day, still celebrated in my native land. John Humphreys of Radio 4’s Today programme had a lovely interview with Seamus Heaney’s widow, Marie, and their daughter, Catherine. 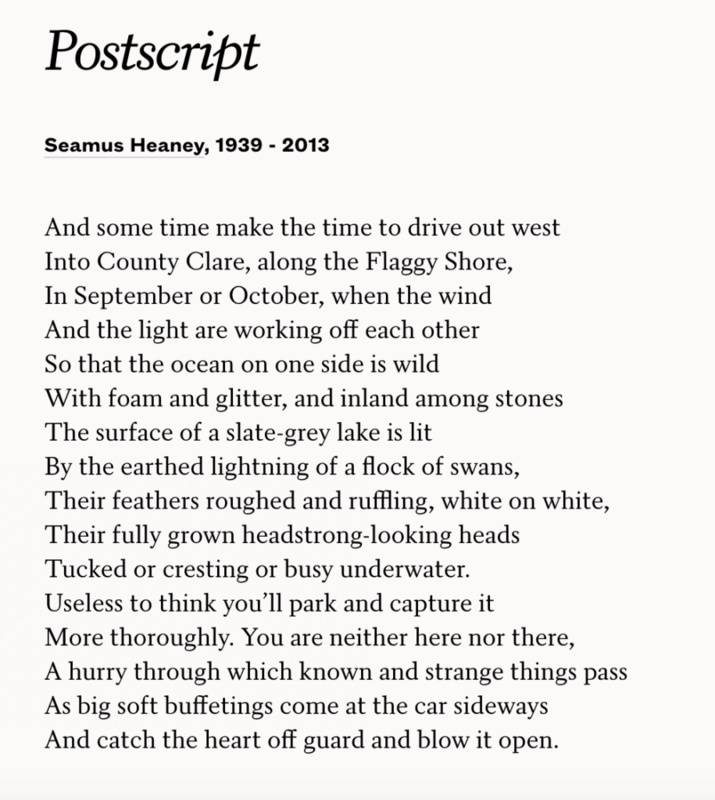 Just before the end, Humphreys asks them to name their favourite poem from Heaney’s formidable oeuvre. Catherine chose ‘Postscript’, which also happens to be mine.